There are three big players in the shipping industry in the United States. You don't have time to compare all the rates so in this article, I've done it for you. Hopefully it makes it easier for you to decide which service to use. Things like customer service, product safety and accountability are more subjective. Personally, I've had great experiences and terrible experiences with all three of the big services. I actually was a supervisor at UPS in Hilliard Ohio during college so I am a little biased AGAINST them... yes, the things I saw while working there genuinely made me fearful to use them myself. You can easily find shipping horror stories about any of the three providers. While you are considering the cheapest way to ship between these organizations, it depends on where you are sending the package along with the dimensions and weight of the package. Let's go through each provider one by one. I am not incentivized in any way to encourage you to use one of these services over the others. If your package is less than two pounds, the cheapest shipping will almost certainly be offered by the United States Postal Service. If your parcel weighs less than 13 ounces and qualifies for first-class postage, it will be even cheaper. Also, the USPS often offers the cheapest international shipping. If your parcel is slightly over two pounds, the USPS still offers good deals on parcels that fit in a priority mail flat rate box. If you're looking for next day shipping, Express Mail from The United States Postal Service is always the most affordable option. The only problem with it is that parcels often take two days to arrive at remote locations. The package will arrive in one or two days if you choose Express Mail. First class mail will arrive within 2-5 business days. Priority mail takes 2 or 3 days to arrive. Is The United States Postal Service Reliable? The USPS is not the most reliable shipping service you can choose. The USPS doesn't give any precise information about shipping dates. In rare cases, parcels could take as long as three weeks to arrive. In addition, their tracking can be inaccurate. On occasion, a parcel could show as delivered when it hasn't arrived yet. In other cases, tracking information might not be given at all until the parcel has already arrived. The USPS has received mixed online reviews. While there are a significant number of positive reports, there also are reports of packages that did not arrive or arrived late. Unlike many other delivery services, you can negotiate your price with UPS. However, this is only possible if you ship a large volume of packages. While this option is available, it's generally not recommended to negotiate with UPS. Even after negotiation, UPS shipping rates are often higher than other delivery services. Are UPS Shipping Rates Ever Lower Than Other Delivery Services Without Negotiation? UPS offers the cheapest shipping if you're shipping a parcel that's more than 3 pounds. 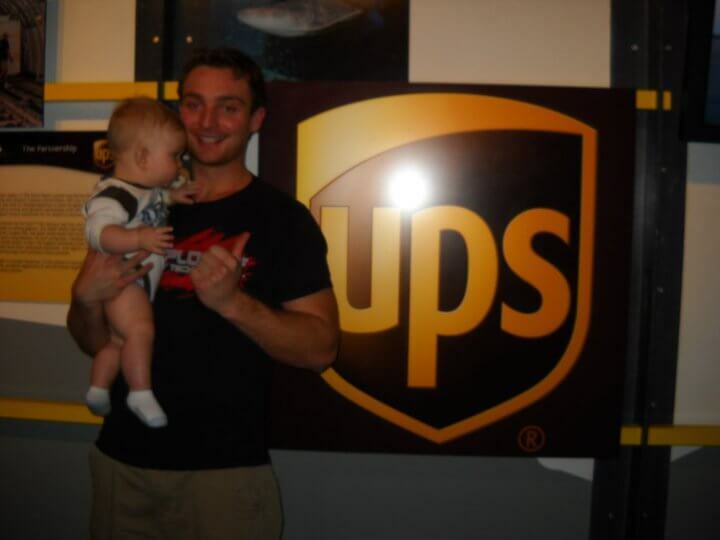 Unlike the USPS, UPS is one of the most reliable shipping providers. It's possible to track your package at any point during the shipping process, and the tracking is known to be exceptionally accurate. Furthermore, UPS has an excellent record of shipping parcels on time. UPS has been reviewed even better than FedEx on the BBB website. In fact, it received 4 out of 5 stars from customers. The BBB gives UPS a rating of A+. UPS has also been reviewed well on other websites. In terms of reviews, the difference between UPS vs USPS is clear. UPS has better reviews. 1-3 Business Day Shipping: The package can be available between 10:30 AM and 12:00 PM. However, you can also opt to have the package delivered by the end of the day or between noon and 2 PM. 2-5 Business Day Shipping: The product is delivered by the end of the day if you choose this option. 3 Business Day Shipping: The product is delivered at the end of the day with this option. Scheduled Day Definite Shipping: The delivery will occur by the end of the day on the date you choose. FedEx offers exceptionally affordable ground shipping that allows packages to arrive in only three days. This option is even more affordable if you sign up for a FedEx account. There is a 15% discount on shipping for those who sign up for a FedEx account. If you're shipping a package that is larger than three pounds, FedEx is usually cheaper than either The USPS or UPS. They also offer affordable same day shipping. FedEx is usually as reliable as UPS. In some cases, it's even more reliable. They also offer reliable tracking. It is important to note that the flat rate pricing only applies to packages that weigh less than 50 pounds. You will have to pay higher rates if your package weighs more than 50 pounds. FedEx is accredited by the Better Business Bureau, and the BBB has reviewed FedEx well. While there have been a significant number of complaints against the company on the BBB website, it's important to keep in mind that FedEx is a very large company. Therefore, the complaints only represent a small portion of the business' customers. There also are many positive testimonials on the BBB site as well. FedEx is well known for their reliable and affordable international shipping, and they offer Express International Shipping. FedEx offers shipping to more than 220 countries! FedEx allows you to ship to more regions of the world than UPS. Are There Any Ways That You Can Get Discounts From Shipping Providers? One way that you can get discounts on shipping is if you use the services of ShippingEasy.com. This company offers discounts on shipping for just about all of the USPS shipping options, and the discounts are substantial. This can allow you to get the cheapest international shipping possible. All of the major shipping providers are listed on the interface of the website, and you can get discounts for all of them. Furthermore, the service is free as long as you don't exceed 50 shipments per month. PS: If you sell on Amazon (many of my readers do) check out this article on using a 3rd party prep and ship company to handle your shipments.